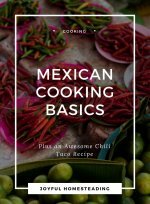 Growing anise is a good way to add flavor to your salads, beauty to your homestead and even increased productivity to your garden. The ancients sometimes treated these herbs as currency, trading the spice for other goods. 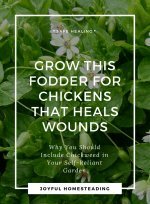 Add this herb to your self-reliant garden, and you might think it's worth it's weight in gold as well. Here's some information about this helpful herb. Anise is an annual plant which produces an aromatic, edible flower that, along with its leaves, can be used in salads, garnishes and teas. It has a flavor similar to licorice. Anise seeds are especially beneficial to your health, being loaded with calcium, magnesium, potassium and copper and B-complex vitamins. 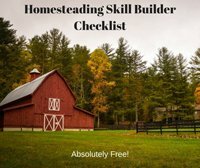 Once you harvest the seeds, dry them and then store them in a cool, dry place. For an even more productive garden, consider sowing anise seeds in your garden bed next spring. This aromatic plant is terrific bee magnet, drawing honeybees and other pollinating insects to your garden, helping to make it more productive. Both the leaves and the flowers can be used either fresh or dried. Add the dried leaves, along with a stick of cinnamon to add flavor to your tea. Use anise any time you want to add a licorice flavor to a dish. Anise is traditionally used in cookies, breads and sometimes sausage. Anise works as an expectorant. 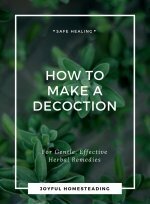 Use the leaves in an infusion when you have a hard, dry cough. It can also help ease digestive troubles. Anise has also been used in the Middle East as a breath freshener. Please note: Pregnant or nursing mothers should avoid anise, as it can cause a toxic reaction in newborns. Make sure your anise seeds come from a reputable source and that they are not too old. 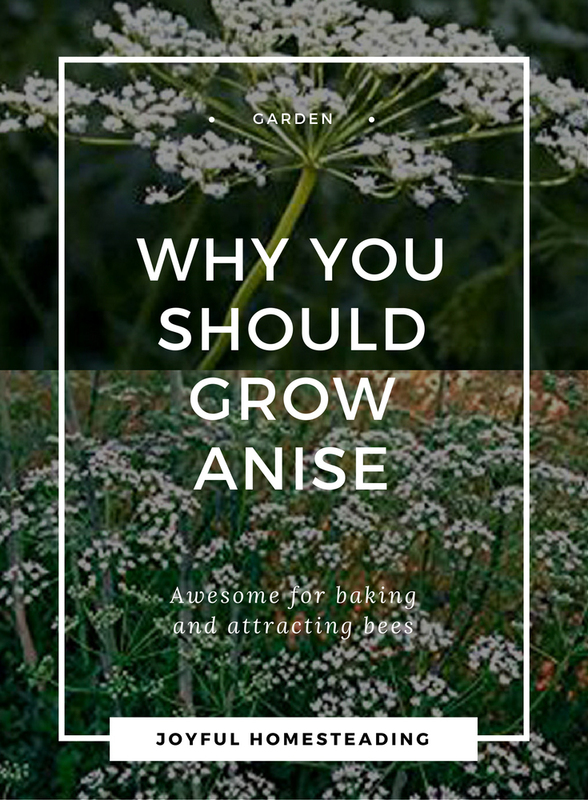 Anise takes a long time to grow - about 100 days from the time you sow the seeds. It's best to start anise right in your garden, as the plants do not transplant well. The herb anise can be tricky to grow because it likes both the soil and the weather to be just so. It wants full sun, but not too much heat, consistent temperatures and rainfall and light, well-drained, medium-rich sandy soil. 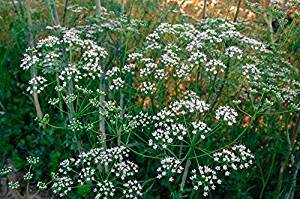 Keep your anise bed clear of weeds. Or you can start your anise seeds in a pot and then move the pot to a sunny locale come May.